Parquet flooring is a wood flooring solution that is composed of layers of different wood types, with 2mmhardwood at the top. Of French origin, from the word “parqueterie”, what comes to mind is late 17th century palace flooring! It is in high demand due to its elegantly beautiful decorative effect. Nowadays you can choose from Xylos Parkett’s Palace Diamond with a 2mm top layer and unique pattern; Herringbone design in, natural teak, natural oak or walnut effects; or perhaps prefer Chevron in Oak hues. You have a choice of different dimensions too. 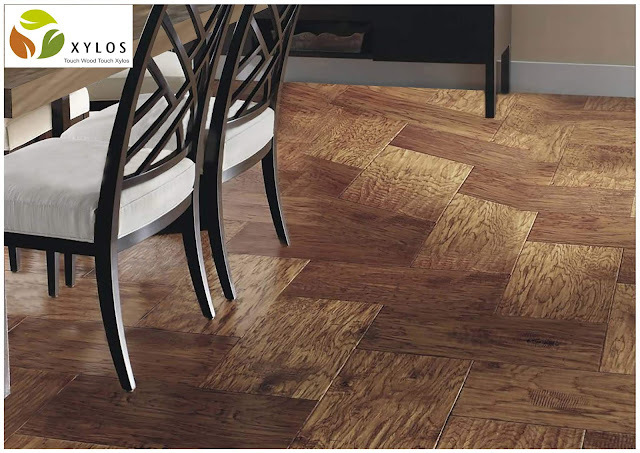 Style, durability and high-tech international quality is your promise from Xylos, the premium global brand.